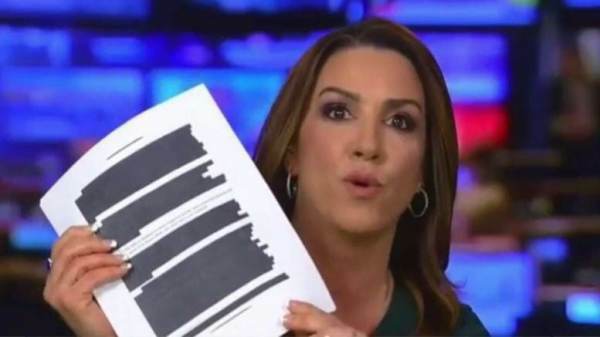 Fox News contributor Sara A. Carter reports former British intelligence officer Christopher Steele knew that the Clinton campaign was footing the bill for the anti-Trump dossier, yet the FBI never included this information in its FISA court application for Carter Page. Former British spy Christopher Steele was informed months after accepting the job to compile a dossier on then-candidate Donald J. Trump that the Hillary Clinton Campaign and the Democratic National Committee were paying the bills but that’s not what the FBI told the secret FISA court when it sought a warrant to spy on one of Trump’s campaign volunteers. This bit of explosive information was revealed in an expose on Steele by The New Yorker’s Jane Mayer but the implications for the FBI are profound. Why? Because the bureau explicitly stated in its Foreign Intelligence Surveillance Application to the secret court that Steele was unaware of who backed Fusion GPS, the firm which hired him, for the research. Steele, however, claimed in the expose titled Christopher Steele, The Man Behind the Trump Dossier that he did know who was paying his bill. In a footnote on the warrant application to the court, the FBI stated that the “identified U.S. Person never advised Source #1 as to the motivation behind the research into Candidate #1’s ties to Russia.” Meaning that now embattled Fusion GPS, the firm that hired Steele to conduct the research, never advised him of who was paying his bill. As laid out in the Nunes memo, the Justice Department was granted a FISA warrant to surveil former Trump campaign advisor Carter Page during the 2016 presidential election. The initial application, along with the renewals, relied in part, on unverified information compiled by former British intelligence agent Christopher Steele. As The Gateway Pundit’s Jim Hoft previously reported, Fox News contributor Sarah Carter recently revealed to Hannity that the Department of Justice ignored Congressional requests to turn over the transcripts of the FISA court hearings on Carter Page. CARTER: The Department of Justice can easily give you the same documents that we have. This has never been requested before by the FISA Court. So this is a new thing for them. They have to review everything, decide whether or not they can hand over these documents. But she said that the court would not reject to the fact that the Department of Justice can hand them over. Well, I confirm tonight that Nunes and Goodlatte did request those documents from the Department of Justice and the Department of Justice never responded to them.